By this time, u guys must be aware of me loving Prawns... I live to eat, what to do , My grandma raised me like that.. This is one of the very simplest recipe I've known and this totally belongs to my mom.. My mom made this last year when she was here for my delivery.. I absolutely loved it and had it with curd rice, it was awesome.. Those who likes dry fish, would definitely love this podi too.. Njoy !!! Dry roast the dried shrimp for 4 to 5 minutes over medium heat ,just enough to spread the heat on the dried shrimp. Heating the shrimp for long ,will make them bitter. In the same pan, roast the dry chillies and garlic for 2 minutes. Just enough to make them crisp. Transfer the roasted red chillies , garlic onto the blender / mixie and grind them first. Later add the shrimp and grind to fine powder. Store them in an air tight container .. Goes good with curd rice, even idli's n dosa's.. I have heard about this a lot, but never tasted one. Looks good. 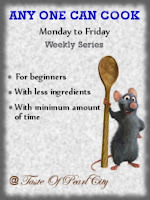 I have heard abt this.Now only I am seeing the recipe. brought back memories....i haven't made it here...i dont get dried shrimp very frequently and more over its expensive....but ahhh add a bit in hot rice with ghee....yummmm! 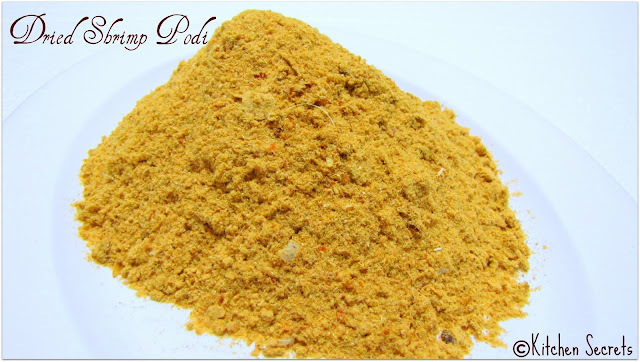 Amazing Podi to add it in any curry and make it taste even more yummier. One of my favorites..looks yum..
Something mom used to prepare and give during hostel days! lovely n tasty! Our favourite podi, i get those dried shrimps from chinese stores quite often,love this podi with dosas..
new n interesying podi looks delicious..
AAAh.. I need no other dish to go with. And also finish the whole bowl in seconds. Seriously! !I am drooling here Shanavi, looks awesome.. This is an awesome podi...my mom used to make it...Its very delicious..
Shanavi, thanks for visiting my blog and taking the time to comment. 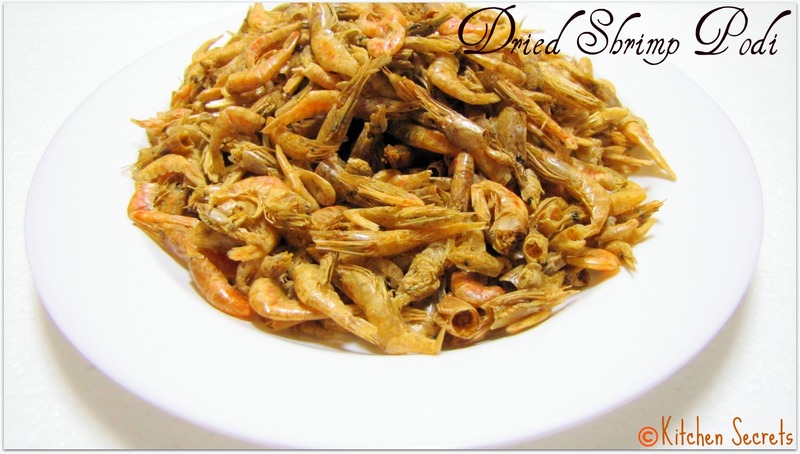 I've never used dried shrimp. Love how much I'm learning from your blog. Thanks for sharing. Hi, An award is waiting for you in my blog... Please collect it..